Financial planners and advisors are often faced with the question from prospective clients about how long they should invest if they are investing some money within a few days or weeks. Overall it’s a tricky question since the answer depends up on several factors like the profile of the investor, his/her age and risk-taking ability and also the objective for which the money is being invested. 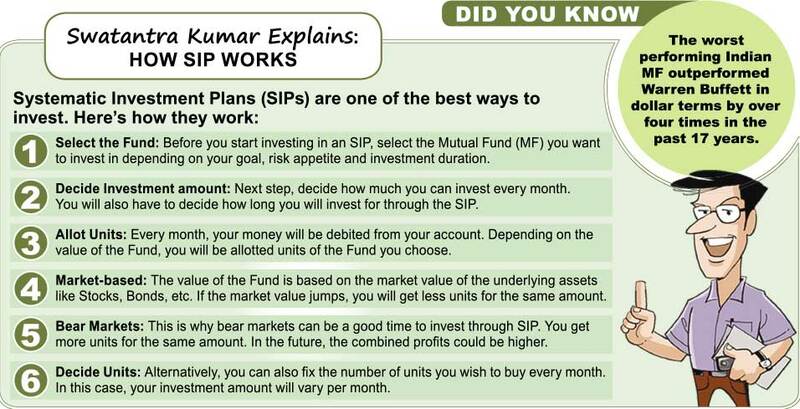 For example, if the investment is for a few months, then probably Liquid Fund would be the best option, while if it’s for a few years, say less than five years, then a bond fund by a good mutual fund house is a better option. However, if the person is investing for the long term, to create wealth, then the best option is to invest in an Equity mutual fund, again, from a good fund house. Look at the charts being carried alongside this article. The chart on the top shows the current value of Rs 1,000 that was invested in 1986 in a basket of assets. The bar on the extreme right shows that how the money has grown over 73 times if the same was invested in a large cap Equity fund, compared to nearly 20 times if it was kept in PPF. The same a basket of assets. The bar on the extreme right shows that how the money has grown over 73 times if the same was invested in a large cap Equity fund, compared to nearly 20 times if it was kept in PPF. The same money would grow a little over 13 times if the money was kept in a bank FD, while it would have barely managed to grow about three times__that is Rs 1,000 would be nearly Rs 3,200 at the end of the 30th year, if the same was kept in a savings bank account. Likewise, the chart below shows the growth of these assets over these 30 years. According to financial planners, one of the main reasons why equities outperformed all other asset classes is that stocks usually grow at a pace much faster than the rate of inflation. On the other hand, bank FDs pay just a little over the rate of inflation, while and PPF, given its tax advantage, grows a little more than the FD rate. Gold too gives a return that is slightly higher than that of rate of inflation. Given that an Equity fund from a good fund house is managed by an experienced team of professionals, it would probably grow at a rate faster than the average rate of growth of the market. At the other extreme, money kept in savings bank destroys wealth since returns from this financial asset is less than the rate of inflation. In the given example, while the average annual savings bank return over this 30-year period was 3.8%, bank FDs gave a return of 8.7%, PPF a little more at 10.1%, Gold 9.3% while the benchmark Equity index, Sensex, gave a return of 13.7%. However, a large cap Equity fund returned nearly 15% during this period.